Hi, SEers! Mae here today with a topic I hope will be beneficial to a number of readers. Many of you may already know this trick, but I hope you’ll indulge me for those who don’t. Recently, I did a cover reveal, single day blitz of my upcoming release, Cusp of Night. I had sixteen blog stops in a single day. When the book releases, I’ll prepare individual posts for the wonderful bloggers gracious enough host me, but in this case, I was splashing the same content everywhere. To make it easier on my hosts—and okay, me too—I sent everyone a pre-formatted HTML post. All sixteen blogs were sharing the same content, so I was able to create a template that everyone received. Basically, “look at my sparkly new cover!” Afterward, several bloggers emailed me to inquire how I had created the post. It’s amazingly easy. Although the steps below are for WordPress users, Blogger may have something similar if you poke around. Open the VISUAL editor of your WordPress blog and format the post exactly as you want it to appear. This includes spacing, inserting book covers, photos, graphics, links, etc. When including links, remember to set them to open in a new window. Switch to the TEXT editor of your blog and copy your entire document. This will retrieve all the HTML code. Paste the document into MS Word (or your word processor) and SAVE. When you send the post to your blog hosts, instruct them to paste it into their TEXT editor. Presto—they have a pre-formatted post without having to do any layout work, insert photos, links, etc. This makes things easy-peasy for your hosts. And who doesn’t like easy-peasy? Even when I do this, I still make it a practice to send everything separately (post, photos and graphics, links). Some hosts prefer formatting their own posts to maintain continuity with their blog. For those who want a quick hosting solution this saves a lot of time. I now do this for every blog post I submit to another blogger. So let’s chat….were you already aware of this trick? Have you used it before? If not, do you see yourself giving it a try in the future? Do you have any special tricks you employ to save yourself and/your blog hosts time? Time is the enemy of all writers. What steps do you take to circumvent it? Mae, this is a great tip and time saver for anyone that does a blog blitz or for someone hosting a blog. Even if the host wishes to change some of the layout, they have all your links ready to go. Absolutely! I’m glad you found value in it, Michele. Thanks for dropping by and commenting! I can’t believe it’s that easy! I’ll have to remember that. Sure beats trying to tweak things for each blogger. Great tips, Mae! Thank you. I must try it. I will try it. I’ll do it today – ah, it’s teatime – I’ll do it tomorrow. But I will try it! Thank you for sharing, Viv! It’s funny. I switch between visual and text for other purposes, for example inserting videos and a few other things. I hadn’t thought about saving in that format before. Great info here. I don’t tend to do guest posts or blog hops, but if I ever do, this is great to know. Thank you. Nice job, Mae. don’t know why more author’s on tour don’t use this technique. so easy for the host. Here’s a nice, easy how-to by Mae Clair on Story Empire today. How incredibly simple, Mae, and no, I did not know this. So, thank you for sharing! The only issue is when your recipient uses Blogger instead of WordPress. That one I haven’t resolved yet. The Blogger/WordPress compatibility is a problem.I guess in that case we still have to go about things the old fashioned way until someone figures it out. I was pretty much the same way, pasting in from others, and then had that light bulb moment of why don’t I do it in reverse, LOL! I’ve received ready made html posts for Blogger, so there must be a way to do it, but I assume you have to have a Blogger account to figure that one out! I knew how to use the text editor, but never considered doing a copy/paste for a guest post. Great idea! It makes it so much easier on your hosts, Sue. We’re all so crazy busy that little bit of time saved can be monumental in the scheme of things. Thanks for the reminder, Mae. I have used it myself before and it makes things easier, although I don’t think it always works if people use another platform rather than WordPress, but sending the standard format should help with that. It is also a possibility to leave the actual post as a draft on WordPress for future reference, although I tend to keep a copy on Word as well. Mae Clair has a very useful post today on how to create an HTML blog post to share on blog tours, etc. Check it out. It’s much easier than you might think. Thanks, Mae! Thanks for sharing this, Marcia. 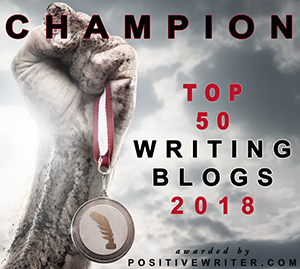 I hope The Write Stuff readers find it helpful! I’m glad you found it usual, and thanks again for reblogging to The Write Stuff! My pleasure. Thanks for visiting, Gracie! Thanks for dropping by and sharing your thoughts, Jena! I learned to do this long ago when I wrote a guest post for another blogger and he requested it in that format. If you are sending the same content to a lot of people, or want your post to look a certain way, it’s definitely the way to go. Sending individual posts takes a smidge longer (because you’re doing individual formatting for each person), but these people are doing you a favor, so it’s worth it if that’s what they want. Thanks, Staci. It seems we’re all so busy today that anything we can do to help out others who host is is a plus.I take posts either way, too–with or without code–and I always want to leave it up to the host blogger whether they want to use the pre-formatted post or fiddle with content on their end. It’s great to have that flexibility and be able to give bloggers a choice. I’ve done this a couple of times. My guest appearances are all unique, so I haven’t done it often. What do you do with the leftovers you created in WordPress? Delete it? Yes, I just delete it, Craig. Once I’e copied the post to Word and save it there, I have the post if I ever need it again. While I’m working in WP, I sometimes save th e post as a draft, then go back and delete it when I’m done. Sounds about right. I like to keep the clutter down. I had used the text editor for a few things but before I hosted you that day, had never used the feature. It was super easy and I’ll be using this format in the future. Good info to have, Mae! I couldn’t agree more, Charles. And I always appreciate when I get your posts in HTML. What a time-saver! I wish I knew how to do it in Blogger, Yvette, but it’s been years since I’ve used that platform. Maybe you can Google it??? I find it super handy, too! And I love it when all I have to do is copy and paste a guest post.